In solidarity with the American Library Association’s Banned Books Week, the Kraemer Family Library hosted a panel on Sept. 6 to discuss increasing censorship in books. 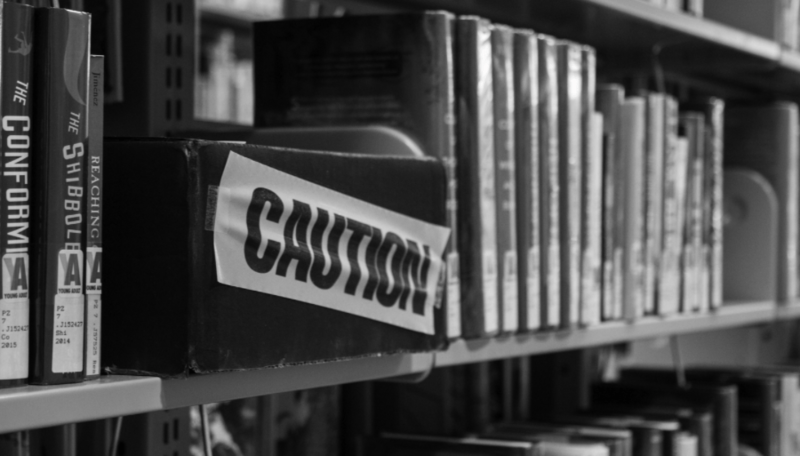 Banned Books Week was launched in 1982 in response to a surge of objections to books in school, and has been typically held in the last week of September ever since. It brings together book communities of all kinds — teachers, publishers, authors, and librarians alike join in support of freedom of speech, whether it be unorthodox or not. The Sept. 6 panel in the Kraemer Family Library looked at the impact of banning books and how events play out in the aftermath, including stories from patron complaints about books after banning, and how policies evolve to adapt to community reactions while balancing open access to information. In an email interview, Carlos Duarte, a librarian and instructor at the Kraemer Family Library outlined the purpose of the panel. The Kraemer Family Library will be hosting events for the rest of September. Banned Book Selfies will take place on Sept. 13 from 11 a.m. to 1 p.m. in the El Pomar Plaza, where students are encouraged to take a selfie with their favorite banned book, with button making. Banned Books Poster Session will take place on Sept. 20 from 2 p.m. to 4 p.m. in the third floor apse of the Kraemer Family Library. During this event students from the Gateway Program Seminar class will present posters about banned books. Banned Books Readout will take place on Sept. 27 from 12 p.m. to 1 p.m. in the El Pomar Plaza, where members of the Kraemer Family Library and the greater UCCS community will read sections of banned or challenged books. The American Library Association’s Banned Books Week starts Sept. 23, with a theme of “Banning Books Silences Stories.” This year features the top 10 challenged books of 2017, including The Kite Runner by Khaled Hosseini and Jay Asher’s Thirteen Reasons Why.